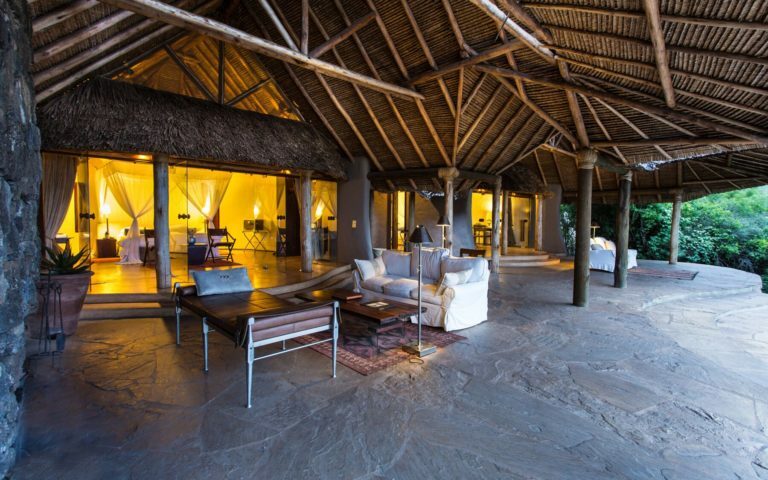 Wedged between Kenya’s Tsavo East and Amboseli National Parks, in the heart of the Chyulu Hills, lies the Mbirikani Group Ranch, 275,000 acres of an immaculate and private wilderness, presided over by the magnificent summit of Africa’s greatest icon – Mount Kilimanjaro. The group ranch is owned by 4,000 Maasai and is leased from them by Great Plains Conservation, whereby all lease fees and per person conservancy fees go direct to the community. The understanding is that they will ensure the conservation of the ranch and the wild animals which call it home. The result is an area rich in wildlife, where some of Africa’s last giant elephant bulls roam freely, where the haunting calls of leopards interrupt the night, and where lion numbers are slowing recovering and being pulled back from depletion. 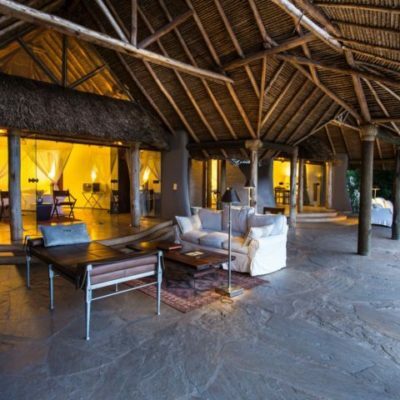 Delicately nestled within this incredible ecosystem, on an unassuming hillside that rises above the arresting scenes of this area, is ol Donyo Lodge, a collection of superb thatched bungalows, perfectly positioned to take in some of Kenya’s most stunning nature displays, and with Africa’s highest mountain as a constant backdrop. The views from ol Donyo Lodge are nothing short of breathtaking. 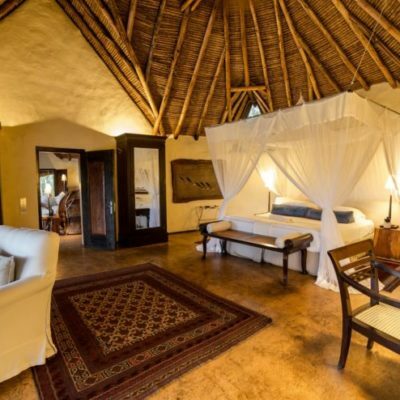 The Lodge itself has been constructed from natural materials to make it as environmentally friendly as possible. The walls are built with lava rocks from the area and even the cement was used sparingly as a light wash over lava rock. Most of the lodge’s energy comes from the sun using a solar powered system with energy saving lighting, and rainwater is captured from each roof and is filtered before being transferred to the waterholes in front of the lodge, attracting a variety of wildlife to drink. 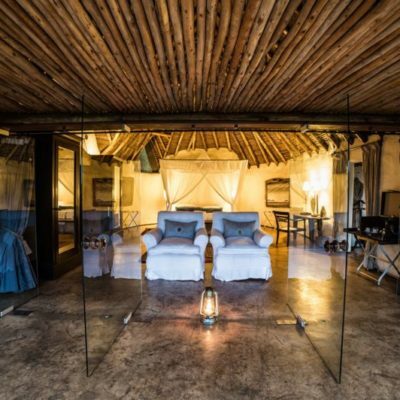 ol Donyo Lodge was rebuilt in 2008, and sits in a thick woodland on a gently sloping hillside with views looking out over the plains to a distant Kilimanjaro. Designed to merge your outdoor and indoor living, a series of unique suites and villas emerge from the arid landscape on either side of a palatial lounge and dining area, completely immersing you in your surroundings. 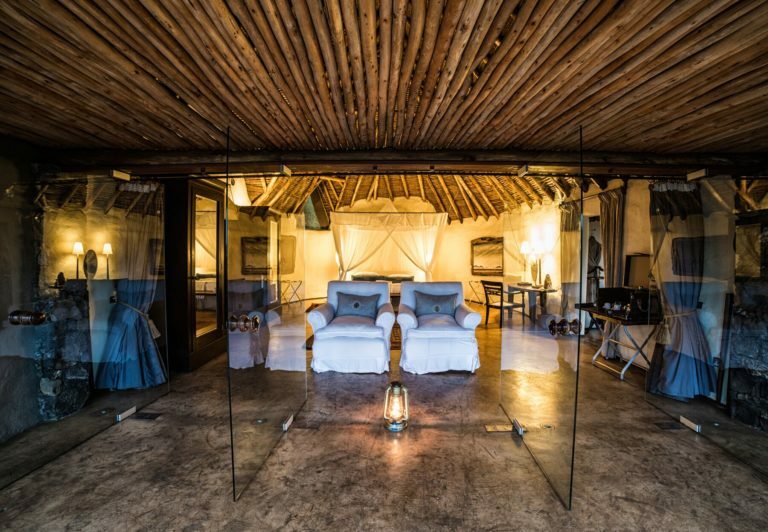 For 2018, due to the different and unique aspects of each of our ol Donyo Lodge suites, we have created 3 different categories of suites based on their design, size and the spatial elements within each. Guests will now have the option to select from our Pool Suites, our Deluxe Pool Suites, and the Sambu Suite. Deluxe pool suite ol Donyo LodgeThe Deluxe Pool Suites comprise of a spacious and comfortable bedroom with an extra large lounge area, overlooking a plunge pool and with incredible views of the open plains and the blue mountainous outline of Mount Kilimanjaro as the backdrop. Each of the deluxe suites includes a staircase to an overhead starbed area. 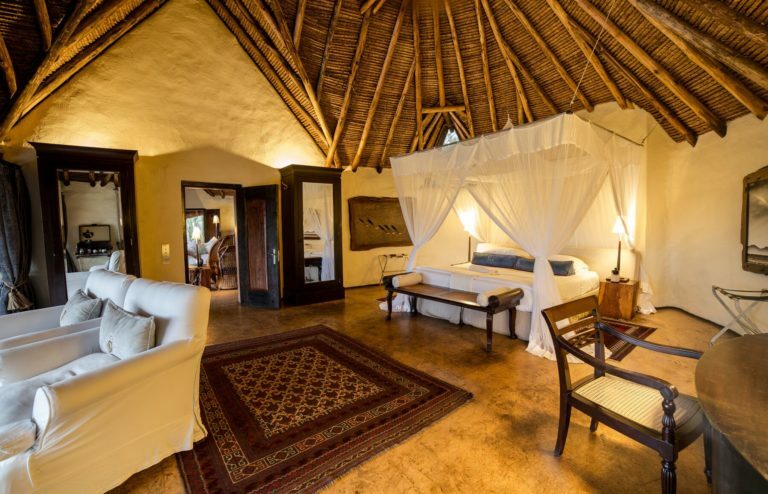 Sambu Suite ol Donyo LodgeThe Sambu Suite is a two-bedroom private family villa offering a harmonious blend of contemporary and rustic accommodation. With two spacious and comfortable bedrooms overlooking an outdoor lounging area next to a pool, this villa allows for private family enjoyment of this incredible landscape. Each of the rooms has their own staircase leading to their own overhead starbed areas. The Suite is based on 3 people sharing, with a supplement for a fourth person sharing. To find out more about availability or pricing please visit our website or enquire direct with our team.